The acting Communications Director of the New Patriotic Party, Adomako Baafi has resigned his position. 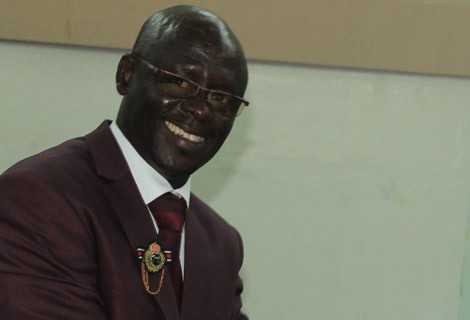 Announcing his decision on Asempa FM’s Ekosii Sen, Friday, Mr Baafi said his role as acting communication director is hindering his passion to campaign for the party in the hinterlands. “I have resigned my position as a communications director. No one has asked me to resign. I have decided to take the decision because I need more time to work for the party,” he said. He explained that being an ordinary member of the Communications team will give him some free space to monitor situations and reality on the ground so as to keep the party in power for long. According to Mr Baafi, the National Democratic Congress (NDC) appears to be succeeding in discrediting the policies of the government to Ghanaians for which reason he appealed to the leadership of the NPP to replace him as soon as possible to enable him to canvass the country to counter what he described as “deception from the opposition party”. “The party leadership should understand me. It’s not anger. The party should bear with me because I still have the party at heart,” he stated. According to him, his love for working at the grassroots would be impeded if he keeps the position as Director of Communications.